Darkside, The Pink Floyd Show, makes a highly anticipated return to the Aberyswyth Arts Centre with a show that is not only bigger than ever but also features the supreme vocals of Pink Floyd’s very own Durga McBroom. Durga was keen to work with Darkside after meeting the band during a recent Nick Mason’s Saucerful of Secrets show. As would be expected, the show incorporates a spectacular and dramatic laser light show and evocative images and animated sequences projected on a circular screen, which were key features of Pink Floyd's live performances. After 14 years of touring, playing at theatres across the UK, Darkside return to the Arts Centre with the Which One’s Pink? tour. 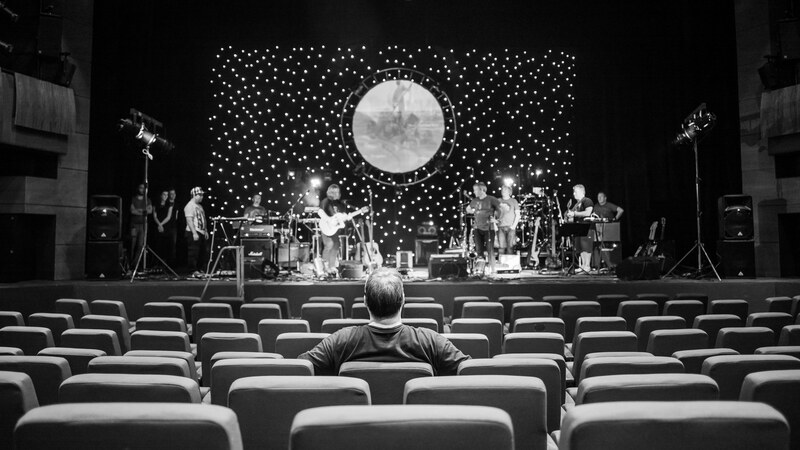 Nine musicians will deliver a show with empathy and passion, playing tracks from Floyd's massive back-catalogue, from the early magical days of founder Syd Barrett through to later iconic albums, renowned complex structures, such as Dark Side of The Moon. The emphasis will be on replicating the experience of Pink Floyd live on stage in the 70s which many believe was Floyd at their very best. Durga will join our own Cariss Auburn and Ana Lemos for what promises to be a night to remember and not one to miss. Darkside, The Pink Floyd Show has joined forces with the National Space Centre to produce a unique and truly cosmic experience combining the history of the Apollo 8 mission with Pink Floyd’s iconic Dark Side Of The Moon album. 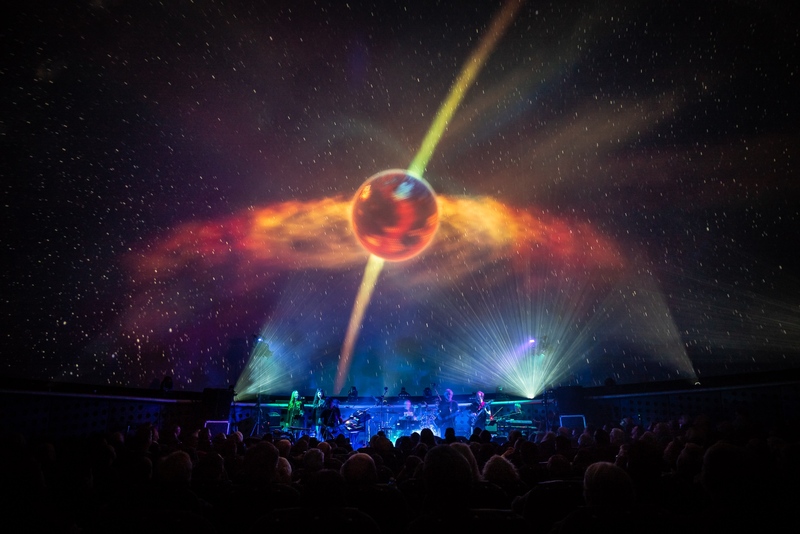 The show will take place in the Sir Patrick Moore planetarium and will be a true multimedia experience, blending historic 360º films and commentary with a live performance of the whole album. ANDY BAKER, guitar and vocalist with Darkside said "We are absolutely thrilled to be working on this unique project with the fabulous National Space Centre. I grew up watching the Apollo programme and being inspired by the whole concept of space travel. To be able to put together this stunning show, celebrating 50 years since the historic mission and making full use of the planetarium is a real privilege".